The altiplano is a high grassland plateau of desolate beauty where vicuña graze among giant cacti, ringed by volcanoes and the snow-capped mountains of the Cordillera Real. 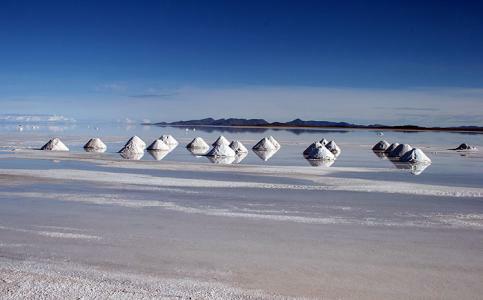 The dazzling crystalline Uyuni salt flats, mineral-rich lagoons and wind-sculpted rock formations of the southern deserts must rank among the world’s most surreal landscapes, and a night in a salt hotel is an experience not to be missed. Bolivia suffered a long spell under the thumb of the Spanish conquistadors, epitomised by the silver mines of Potosí which produced fabulous wealth at a terrible human cost. Despite this it has proudly maintained its indigenous culture, seen in the vivid flowing skirts and bowler hats of the Aymara people, and La Paz’s witches’ market where you can buy amulets, charms and even dried llama foetuses. Straddling the border with Peru is Titicaca, the sacred lake of Inca creation myths. From the surrounding mountain peaks, the land plunges dramatically through cloud forests to the semi-tropical lowlands and the rainforest. Here you’ll find the Jesuit missions, founded in the 17th and 18th centuries and uniquely still thriving, which host a superb biennial festival of baroque music. Surrounded by the snow capped peaks of the Andes, the scenery around La Paz is breathtaking. The unique city is the highest capital in the world and is home to colourful markets, cobbled alleys and some fine museums. 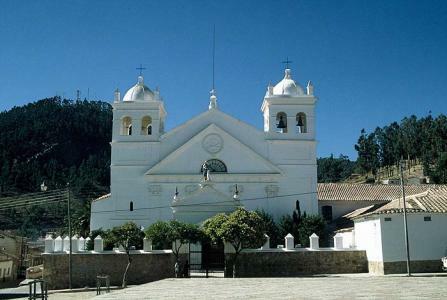 The beautiful 'white city' of Sucre is Bolivia's legal capital and home to the country's best colonial architecture. Aside from its beauty, one of the main draws is the city's relaxed atmosphere, tempting visitors to stay longer than they bargained for. Due to its altitude, Bolivia’s altiplano can be very hot during the day and bitterly cold at night. The colder, dry season is from May to October, which is the most popular time to travel. From November to April the temperatures are warmer, but coincide with summer rains which often cause flooding to the Salar de Uyuni and make many roads both in the south and in the lowlands impassable. The rainforest and semi-tropical lowlands are warm and humid most of the year. 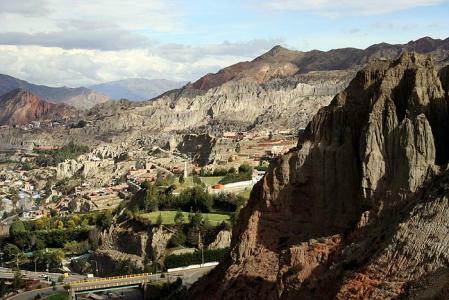 La Paz, the highest capital in the world (3,600m). Yellow fever certificate required for all passengers travelling into and out of Bolivia.Malaria necessary if visiting the jungle. You should be up-to-date on tetanus, typhoid and polio. The official currency is the Boliviano, divided into 100 centavos. It is recommended to bring either US Dollars or dollar denomination travellers cheques to change, although in remoter areas it can be hard to find places willing to accept or change travellers’ cheques. Keep official exchange slips as without them you will be unable to change bolivianos back into dollars. Credit cards are used in the cities but charges may be made. Visa is the most popular card accepted, then American Express. Lunch is the main meal in Bolivia, and particularly in the highlands potato is the main staple. Singani is the national Bolivian brandy, and there are many chicha variants (usually from maize, also peanuts, and can be flavoured with cloves or cinnamon. They also make quite good wines. The national telecommunications company (Entel) have offices in towns and cities (about US$2.10 per minute to the UK). Phone cards (for public phones) only work in the city in which they are bought. Local calls are cheap and international ones rather expensive. Always check prices before using the telephone at hotels, as they often mark up international and long-distance calls considerably. You can use a BT chargecard - dial 0800 10 0044 for the operator. Traffic drives on the right, and while the main highways are in good condition minor roads are often bumpy and dusty.